This was the first grander in three years for Kona and Daniel's first billfish. 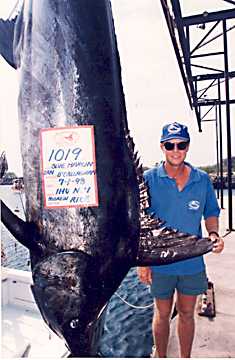 It was the IHU NUI's second grander and was taken on a half-day charter with Capt. McGrew Rice. The marlin fell for a bait on "The Grounds."